“I believe that those who are given leadership roles whether running your own business, a small team or a senior leadership team need to show up and LEAD. 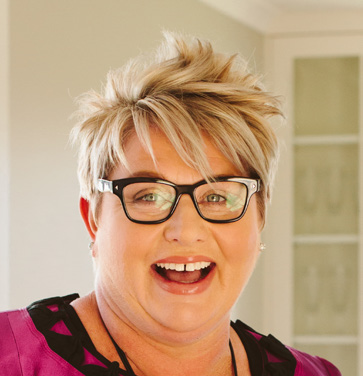 She brings over 25 years experience in NZ Australia and the US Markets and has achieved great sales success in the IT industry, CEO experience in the business coaching market and senior leadership experience across markets. Rebecca provides high passion, high energy and has experiential expertise in every client she works with and this has seen Paradigm grow from strength to strength. Her first book Empower Me: The magic is in believing it’s possible is now available through our store. Rebecca’s strengths are being able to get you clear on what mind story you are running and the extent to which it is impacting on your personal and business success. She is able to expertly guide you through this process. Rebecca uses her educational psychology background, private and public sector experience to to shift what’s in the way to create new patterns for improved behaviours, more revenue and greater satisfaction. Rebecca is the real deal, easy to connect with and focused on bringing the best out of you in the session. Kind Words: I came across Rebecca on social media and she resonated with me. I was feeling stuck, overwhelmed and at a crossroad in my business and personal life. After my first skype session with Rebecca I knew she would be able to help me. in just a few sessions I have been able to make great gains with understanding my own mind story and how much it impacts everything and the sessions have also given me confidence to increase my business revenue. Rebecca’s wealth of experience and real approach is great. She is invested in my success and being the best I can be. I am looking forward to working with Rebecca in 2017. – Isabel, Business Owner, Auckland. In order to optimise these sessions, it’s helpful if you are able to outline what you would like to cover – the more I know about you and what you would like to achieve, the better.